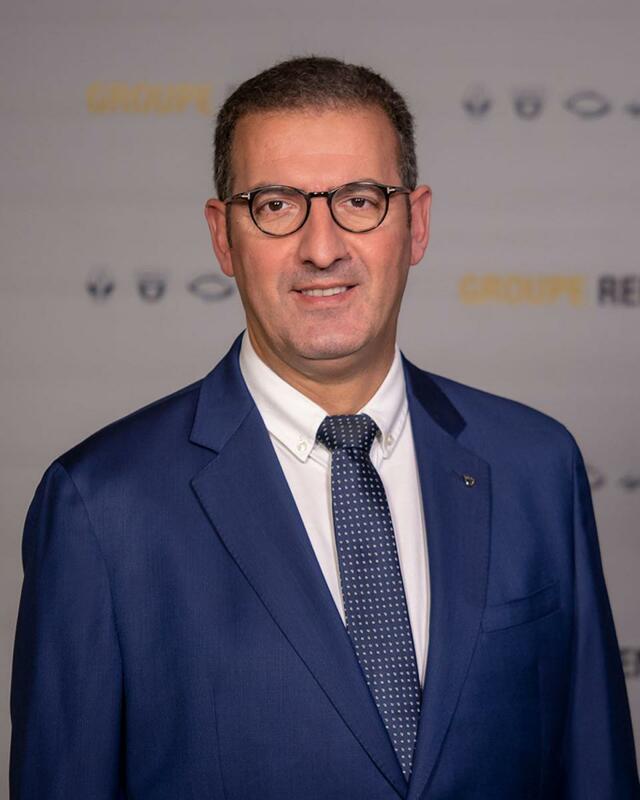 As of January 1st 2019, Christophe Dridi becomes Managing Director of Automobile Dacia and Groupe Renault Romania. He takes over this responsibility from Jerôme Olive, Alliance Regional SVP Manufacturing Process Engineering & Supply Chain Eurasia Region, who was interim as of September this year. In the last two years, Christophe Dridi was General Manager of the Dacia Car Assembly Plant and member of the Management Board of the company. 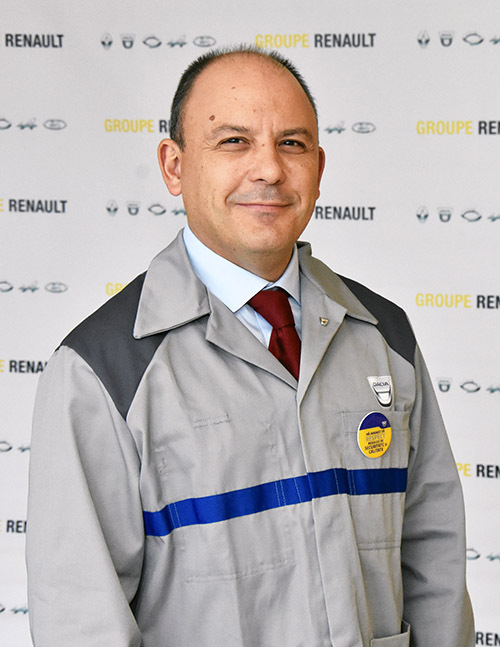 The General Manager of the Dacia Car Assembly Plant from Mioveni becomes, starting with the same date, Miguel Oliver, currently Quality Director at the Renault Palencia Plant (Spain). He will be in charge with the manufacturing activity of Dacia cars from the Global Access range. “This year we celebrate 50 years of Dacia and, soon, 20 years since Groupe Renault is in Romania. It is a great privilege to join the 17,700 employees who have made these achievements possible; through their professionalism and talent in each of the activities that make up the building of a car: from market studies to after sales. Groupe Renault Romania is not only a successful company through its products sold on 44 countries around the world, but a business model that has not been matched up to now. I have confidence in all the teams from Bucharest, Titu, Mioveni, Pitești and Oarja that we shall continue this dynamic and that we shall respond with the same quality to the commitment taken to each customer. It is essential to stay competitive in an industry continuously changing worldwide. In 2019 we shall inaugurate Renault Bucharest Connected, just one office building for the employees in Bucharest. It is a management project that shows more than ever how oriented we are towards the future”, stated Christophe Dridi. “I have the chance to manage the manufacturing teams of the Dacia Car Assembly Plant, one of the most important plants of the Renault Nissan Mitsubishi Alliance. A plant of the future where employees and customers are at the heart of the transformation. It is the place where every 54 seconds a quality car, equipped with technology, is made in Romania. Together with my future colleagues, I shall continue what has been done so far, so that we manufacture attractive, quality cars, appreciated by our customers”, Miguel Oliver added. Christophe Dridi is a graduate of Ecole Supérieures des Sciences et Technologies de l’Ingénieur Nancy, France, and holds an MBA INSEAD degree. He started his career in Renault, in 1993, as engineer. In 2001, he joined the Renault-Nissan Alliance, in Japan, where he was quality manager. Then he became Quality Director Renault Mexico and, afterwards, he was in charge with incident data at Technochentre, Renault France. In 2009, he became manufacturing director of the Casablanca Plant and then, he occupied the same position in Tangier, both in Morocco. As of October 2016, he has managed the Dacia Car Plant in Mioveni. Miguel Oliver is engineer, graduate of the Polytechnic Universities of Valencia (Spain), and Braunschweig (Germany) and graduate also in Economic Science from the University of Bilbao (Spain). He started his career in 1999, where he had for 17 years various responsibilities in manufacturing, quality, process engineering, audit and vehicle launching. In 2016, he joined Groupe Renault, at the Palencia Factory in Spain, as Quality Director. Here, he was in charge with the measures taken for the improvement of vehicle quality, focusing on customer satisfaction. Car manufacturer since 1898, the Groupe Renault is present in 134 countries and in 2017 it sold approximately 3.76 million cars. The Groupe is harnessing its international growth and the complementary fit of its five brands, Renault, Dacia and Renault Samsung Motors, Alpine and LADA, together with electric vehicles and the unique Alliance with Nissan and Mitsubishi. In order to meet the great technology challenges of the future and to continue its profitable growth, the group draws on its international development. Groupe Renault Romania is the only company which incorporates all activities specific for a car manufacturer, something which has generated high economic performance and a wide range of job offers in different fields: market studies, design, engineering, manufacturing and supply chain, sales, business services and financing. Last year, the turnover figure for Groupe Renault Romania went beyond the threshold of 5.7 bn. euros. At the core of the Global Access range (the range to which the Dacia models manufactured in Mioveni belong), the Groupe is leader on the local market with the Dacia and Renault brands. The 17,700 employees of the Groupe Renault Romania innovate with respect to products and best practices and are recognized for their professionalism.